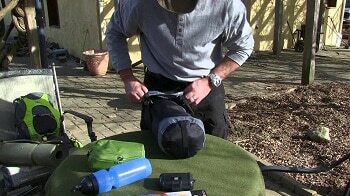 The compression sack is practically a necessity for any serious backpacking trip. Whether it’s a couple of night out in the woods or a trip through urban and outdoor destinations, a good compression sack helps make luggage more manageable as well as providing protection against the elements. As always, pack light. 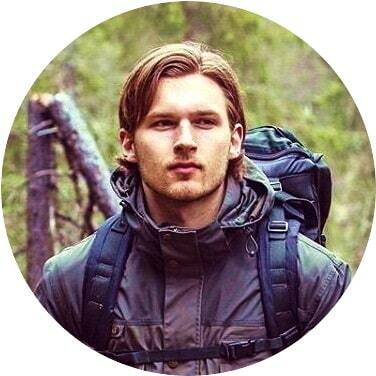 Read our piece on the only backpacking essentials you will need. Probably one of the most important items to protect in a camper’s pack is the sleeping surface. With that, you will want the best compression sack for sleeping bag sleeping bag use. But before we get into comparing market offerings, it’s important to know the characteristics that make a great compression sack. Compression sacks are primarily used for what they are named for. They allow you to compress clothes and gear into a smaller space. This is usually done by sucking out air from the space and constricting the space. Aside from that, a compression sack should be sturdy and protect its contents from the elements. These qualities make compression sacks ideal for use with sleeping bags as they are generally bulky, and the default sacks of sleeping bags usually fall short in terms of durability. So before you replace the sack that came with your sleeping bag, here are a few considerations to take note of. Sleeping Bag: What kind of sleeping bag are you packing? Does it have down insulation type or is it synthetic? The material composition of a bag will largely affect how much it can be compressed. For a review of the best survival sleeping bags, see our article on this important topic. Down insulation bags makes use of plumage from duck and goose. This highly-effective natural insulator is capable of wicking moisture but is difficult to dry once wet. It is, however, difficult to dry. These are more compact than their synthetic counterparts. Synthetic insulation bags refers to material such as polyester. This traps warmth in air pockets throughout its structure, creating insulation. While this dries faster and functions better when in contact with moisture, synthetic insulation tends to have a lower weight to insulation ratio than down. This means that it takes more synthetic insulation to warm a person at the same level that a down bag would. These take up more space than down, partially due to the use of air packets and the type of liners and fabrics that these use. Size: Having the right size of compression sack will be vital to maximizing its use with your sleeping bag. A sack that is too small will not be able to hold your sleeping bag and at best will be difficult to use. One that is too big will be a waste of space and/or weight. Since compression sacks aren’t provided with your sleeping bag, you will have to do a bit of testing to find out. 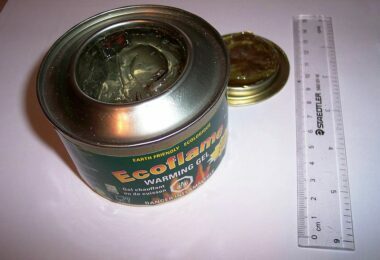 Note that temperature rating does not always translate well to measuring size as the material of the sleeping bag largely factors into insulation and how easy it will be to compress. Weight: The weight of a compression sack will factor into a purchase, especially if the usage calls for saving on the ounces. When carrying a pack over extended periods, every ounce will count. Some users will want to save every bit of carry weight possible. It’s important to note however that durable, lightweight material will tend to be priced higher. A wet sleeping bag is a potential headache waiting to happen. To address this, many have resorted to using waterproof sacks to store their sleeping bags. Some sacks are created to withstand more water than others. 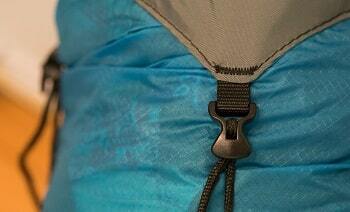 How water resistant your compression sack should be will be dependent on your activities. If you will be engaging in activity near or on water, you will want one with a higher level of waterproofing.Activities such as kayaking will call for water-tight compression sacks. If you intend to carry your sack outside your pack, you will want some amount of waterproofing as rain can make its way into your sleeping bag if you aren’t prepared for it. If a sleeping bag is placed inside a pack at all times, one might choose to forego waterproofing. However, some amount of waterproofing on a sack will provide a sense of security and an option to use it to store items outside the pack should the need arise. Most sacks will use external straps that use mechanical force to compress a bag and its contents. Others make use of breathable fabrics that push air outwards as compression happens in order to maximize compression. The amount of compression that a sack is able to provide is contingent on its construction and material. The factors listed above will all tend to affect the bag’s cost. The higher the compression and protection afforded to the sack’s contents, the greater the price. The Outdoor Research Ultralight Down Backpackers Kit is a great option to meet a variety of outdoor and backpacking carry and storage needs. It comes with three sacks, an Ultralight Compression Sack, an Ultralight Stuff Sack, and a Stuffsack which is also a mesh ditty. 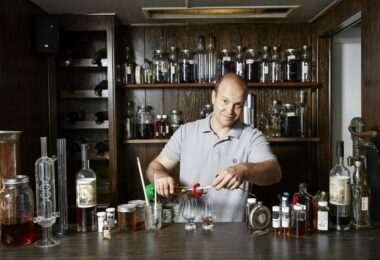 Purchasing the kit provides you a variety of options straight off the bat. 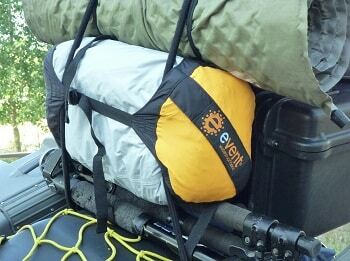 The Ultralight Compression Sack can carry your down sleeping bag and compress it to a much smaller size. It’s waterproof too. 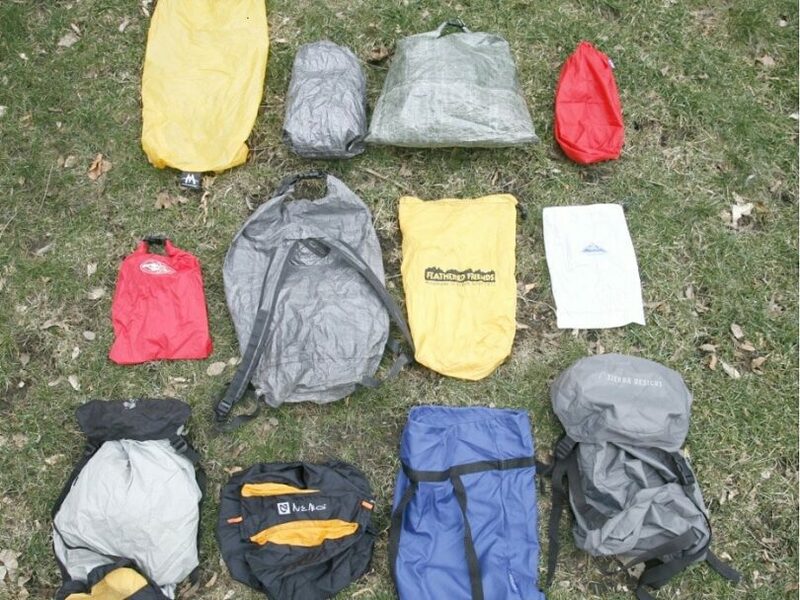 The Ultralight Stuff Sack can work as storage for clean clothes, food, or other items. It can even be used on another sleeping bag, but it will not provide the same compacting ability as the compression sack. The mesh ditty works well as storage for your dirty clothes. The kit does, however, come at a pretty steep price. Especially so, if you are only in the market for a single compression sack. It might not be worth it if that is what you intend. That being said, some backpackers will want sacks for use with clothing and food as well. If you’re one of them, the Outdoor Research Kit is a great option for you. The Alps Mountaineering Compression Sleeping Bag Stuff Sack was made with sleeping bags in mind. This is able to provide ample protection for your sleeping surface or clothes and gear. It comes in a water-resistant material which will suffice against rain and moisture. The medium size is sufficient for a compact 20 degree bag. While the large and XL sizes can take average-sized mummy bags and winter sleeping bags respectively. The double stitched seams create a more sturdy sack, making it great for rugged use. The top lid comes with a zippered pocket which is great for storing small items. Straps that connect the top to the bottom do a great job of tugging on both ends to minimize space consumption. The small sized sack will not be able to carry a sleeping bag but is still a good option for clothes and other gear. In terms of price, it stacks up well against the competition. Overall, it’s a great choice for anyone in need of a stuff sack for a sleeping bag. However, it’s important to note that it isn’t waterproof. If you want to be able to toss your sack into the water in the event of an emergency, this is probably not the sack you want. The Granite Gear Air Compressor Sack provides a lightweight compressing option, great for travelers. The sacks come in different sizes, and the 16L and 23L packs can take on the challenge of a robust sleeping bag for camping use. The see-thru nylon allows a user to check the contents, a pretty useful feature, especially if packed with clothes. The ultra lightweight material is great to shave off the ounces. A trait that definitely works to the advantage of backpackers. This is one characteristic that sets it apart from the competition. The Lineloc technology replaces the more commonly observed straps on compression sacks. The system allows the bag to scrunch up nice and tight, eliminating air pockets within the contents. It balls up nice and tight. In terms of price it is pretty much around the same levels as the competition. For some, however, the ultra-thin, lightweight fabric may be a concern. The thinness might raise concerns on durability. Compression sacks with thicker fabric have been known to tear, especially when put through abuse. Though, it may be of some consolation that the Granite brand is known partly for durability. The Granite Gear Round Rock Solid Compression Sack is the quintessential compression sack. It’s sturdy, rugged, and can compress gear into a small, rock-hard state. The construction is pretty much standard-fare for compression sacks but the quality is spot-on. The sacks can take abuse over extended periods and will remain structurally sound, with frays and abrasion at a minimum, if any can be spotted at all. The nylon tops and ripstop material provide adequate protection against water. Just don’t go about submerging the sack and its contents and you’ll be fine. 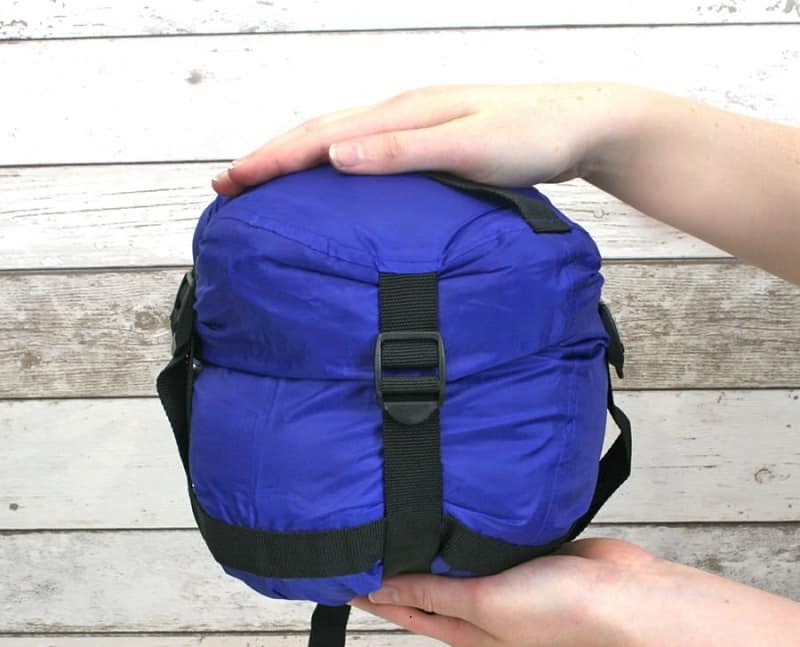 The straps work well to scrunch down the sack and its contents to a nice, compact, round shape. The level of compression is so high that the contents end up rock hard while in the compressed sack. In totality, the sack is a great long-term investment. However, as with a lot of the compression sacks in the market, it doesn’t offer a high level of protection against water. This is a consideration if you’re taking your gear over water while kayaking or rafting. 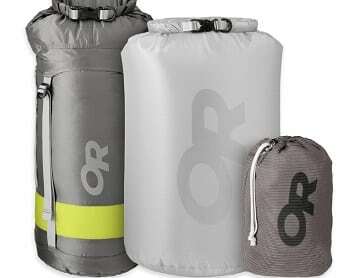 The Osprey Straightjacket Compression Sack largely reinvents the concept of compression sacks. From the image of it alone, it sets itself apart from all other similar market offerings. They are designed to snugly fit into the average backpack. The Osprey’s structure provides a strong horizontal compression, this allows for a long zip opening, perfect for going through the sack without necessarily opening up the sack and dislodging the contents. While the Osprey delivers a unique experience in the midst of a very competitive market for compression sacks, it does some things well, and it doesn’t do other things as well. Overall it’s still a great compression sack, allowing you to store a number of items, gear, clothes, and accessories into a smaller space. Though, it is worth noting that it will not be able to constrict these items as tightly as other sacks would. This is also a great option for use in suitcases or duffel bags, not just the standard camping backpack. It’s also worth noting that, while the fabric of the Osprey is waterproof, the zippers will not be able to fully protect the contents against water intrusion if put on water. Showering and splashes are fine, but dropping the filled sack into water could spell trouble. The Sea to Summit Ultra-Sil Compression Sack provides a great compression option for a wide variety of outdoor activities. The water-resistant fabric provides the necessary protection for gear while backpacking. The four straps allow for an even compression making it a good choice to help level-off the bottom of your bag, where it will likely be placed. 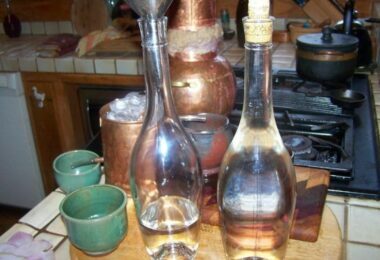 Various sizes are available to cater to varying needs. Perfect for sleeping bag use. Though the right sack will ideally be paired with just the right bag so as to maximize space consumption. (assuming that all you want to put into the sack is a sleeping bag). The rate of compression is actually pretty good, allowing you to free up space in your pack. In terms of price, it definitely isn’t the cheapest item out there. However, in terms of quality, the Sea to Summit Ultra-Sil can throw down with the best of them. The diamond ripstop provides a great deal of durability, making it a definite contender for top of the line camping compression sack. The Sea to Summit eVent Compression Dry Sack provides a strong and sturdy, waterproof option for campers and travelers looking to minimize the space consumption of their packs. The 70D Nylon is a sturdy material capable of taking the wear. The waterproof seams allow no water to enter, even if placed on top of the water, the seams, however, allow air to pass outwards making compression even more effective. The Roll-Top Hypalon closure adds a layer of additional protection to the items or sleeping bag stored inside. Four straps allow for even distribution of compression, even with bulkier sleeping bags. The eVent Compression Dry Sack promises a lot. But it may falter in the face of the most rugged use. The bag is not intended for submersion and its integrity may falter under similar circumstances. 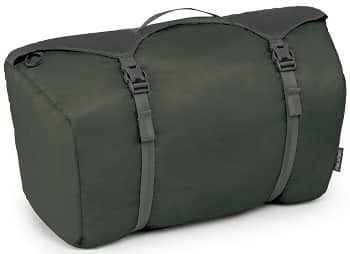 However, in its entirety, the sack provides a great deal of compression alongside a strong and durable construction, definitely making it worth consideration. There are various possible choices for compression sacks that can be used effectively with sleeping bags. The biggest question is probably going to be, what are you going to use it for? Once you have your intended use, frequency, and budget in mind you will be able to find the right one for you. 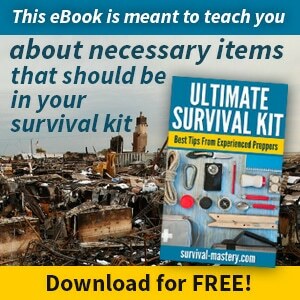 Before your next trip, make sure to read the list of essential camping gear you mustn’t forget.